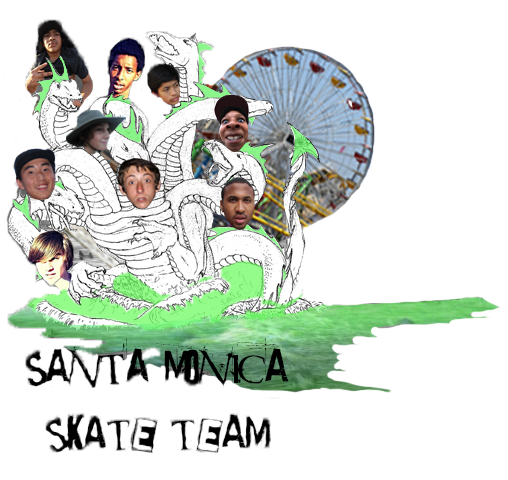 Disaffiliation is deliberate and conscious among the undefined youth of the Santa Monica Skateboard Pack who Loc at Stoner Park. We are a new subculture for a new generation of kids in Southern California in America—the invisible insurrection of a million minds. The cultural possibilities of this new generation of kids are immense, and the time is ripe for their kind of counter-culture. We are part of the radical over-ground. The world is awfully near the brink of disaster because of events such as wars, the toxic radiation of the Fukashima Power Plant leaking into our oceans, and pollution of our Gold Coast. Because of this, we have evolved into West Coast Mutants. There are too many cars on the West Side, so we created a better way to get around. Skateboarding was born here, and this is where it stays. The California Skate Tribe is a nomadic family who travels back and forth from Stoner Park to Venice West and San Diego, from Berkley spots to San Francisco docks. We’ve set up a community whose self-maintenance relies on the excesses of our over-materialistic culture they despise—clothes, unoccupied houses, buildings to skate on, discarded liberated supermarket food. We are a minority who are spiritually cannibalized by large corporate skate companies, shoe companies. We will be the first social merchandising company. Life is a Monopoly Game and this generation has arrived too late to join the game. All the pieces have been chosen already. The new generation is to be exploited and used as cannon fodder. Keep an open mind and people will throw garbage in it. We won’t join in this uncivil regime. We will rebel and join forces in our Skateboard Army to spread revolution. By our wheels you shall know us. These are the days of our lifestyle.